Four of New England’s most iconic products—maple syrup, molasses, apple cider, and maple wood chips—conspire to make these smoky, sticky ribs irresistible. Step 1: Make the rub: In a small bowl, combine the maple sugar, salt, paprika, black pepper, and mustard, onion, and garlic powders and mix well with your fingers. 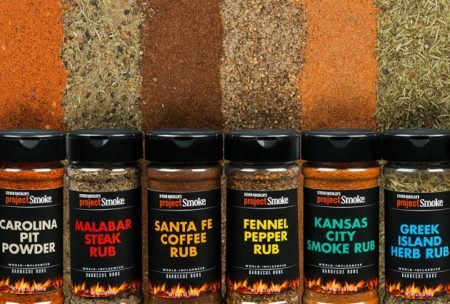 Alternatively, use a favorite pre-mixed rub, like Best of Barbecue All-Purpose Rub. Step 2: Make the glaze: In a small saucepan over medium heat, combine the maple syrup, molasses, ketchup, butter, Worcestershire sauce, mustard, and vinegar. Bring to a boil, stirring occasionally, and cook until glaze is thick and syrupy, 5 to 8 minutes. Keep warm. Step 4: Season the rib racks with the rub, using about 1-1/2 tablespoons per side and rubbing the mixture into the meat with your fingertips. Put the apple cider in a spray bottle. Step 5: Set up your grill for indirect grilling and preheat to medium, about 325 degrees. When ready to cook, brush and oil the grill grate. Arrange the ribs, bone side down, on the grate. Alternatively, stand the racks upright in a rib rack. Add a handful of smoking chips to the coals. Cover the grill and cook the ribs for 45 minutes. Spray the ribs with the apple cider. 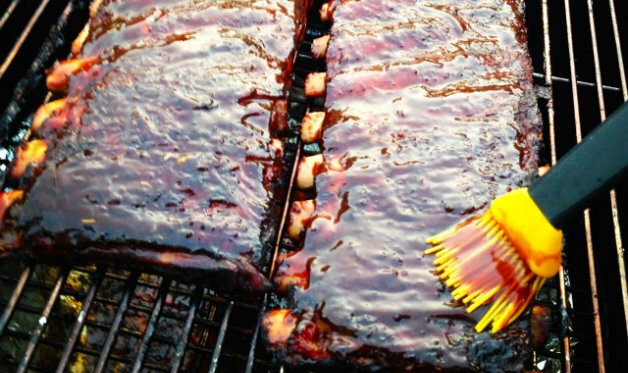 (The cider keeps the ribs moist and adds an extra layer of flavor.) Add the remaining wood chips to the coals. Recover the grill and continue to cook the ribs for 45 minutes more, or as needed, spraying twice more with the apple cider. Step 6: When the ribs are nicely browned, tender enough to pull apart with your fingers, and the meat has shrunk back from the ends of the bones by about 1/2 inch, brush the ribs on both sides with the glaze. Move the ribs (or the rib rack) directly over the fire. Grill the ribs until the glaze is caramelized, 2 to 3 minutes per side. Transfer the ribs to a cutting board and re-glaze. Cut the racks in half or into individual bones before serving. 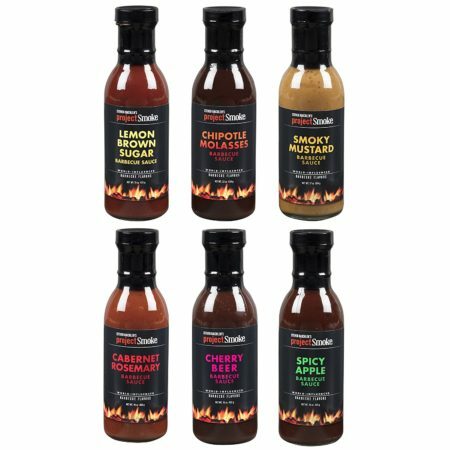 Serve any remaining glaze on the side. 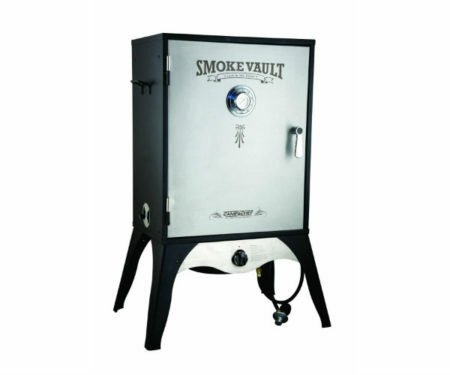 If you decide to smoke them from start to finish, set up your smoker according to the manufacturer’s directions and preheat to 225 degrees. The ribs will take 4 to 5 hours.